Any condition of your bail can be varied if the need arises. You must make an application to vary your bail if your circumstances change in such a way that makes it difficult or impossible to comply with a condition. For example, if you change address or if you would like to travel interstate. It is not enough to simply tell the Police you’re your circumstances change and you not make an application to vary bail, you will be in breach of your bail conditions and may be charged with a bail offence. If there is a surety, the person who has provided the surety must be notified of the variation application and may give evidence. Who can make a bail variation application? In short, an ‘interested party’ to your matter can make an application to vary your bail. This includes: you, the Informant or the Director of Public Prosecutions. How is a variation application made? Applications to vary bail must be made to the Court where you are required to surrender, or in the case of a person charged with murder or treason, to the Supreme Court of Victoria. For instances, if you are bailed to appear at Melbourne Magistrates’ Court then you must make an application to vary your bail at that Court. The alleged victim’s attitude (if known) to the proposed variation to bail. 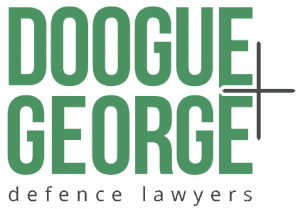 An experienced solicitor from Doogue + George Defence Lawyers can assist you in making an application to vary your bail. Call our office on 03 9670 5111 to speak to an expert.